Here is one that took the Winos off guard.... meaning we really liked it! 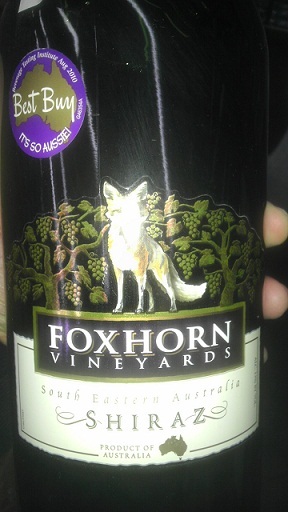 It's a Shiraz from down under - specifically Foxhorn Vineyards (an Australian Winery that brews in small lots). 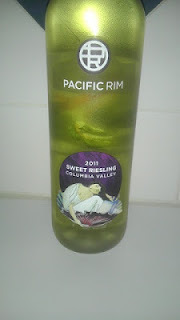 We lucked into this one when we found it at a local convenience store that carries a surprising variety of wines. Kept an open mind given the screw top cap (no cork screw needed here). Good thing... this one gets a "Good Rating" for three reasons: (1) Taste... as good as more higher priced Shiraz. (2) Price... less than $10 gets you the 1.5 liter bottle. (3) And, alcohol content... 13% by volume! Here is one both Winos liked. 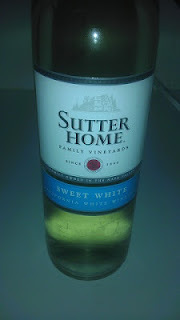 It's Sutter Home's Sweet White Wine. Reminds us of a Pinot Grigio but sweet. This one gets a "Good Rating"; even better that it only put a $5 dent in the pocketbook! Give it a try some time. Here is one the Winos picked up while grocery shopping. The local grocery store had a vendor setup a wine tasting display. 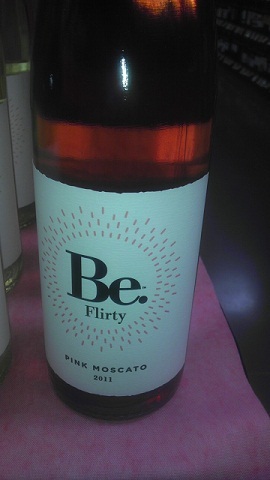 There selections for the tasting were from Be Flirty... Given the name of the wine, the pleasing to look at hostess, and the chance at free wine (at least a "taste"), the Red Wine Wino gave it as try. In this case, a bottle of their Pink Moscato was the result. Later while watching the Baseball Playoffs, the Winos broke open the bottle and agreed to buy this one again! This one gets a "Good Rating" (alcohol content 9.5%, too). The White Wino picked this one up - a Sweet Riesling from Pacific Rim. It has a slight sweet taste that the Red Wine Wino liked but for whatever reason the White Wino opted not to buy again. This one gets a Neutral Rating as the Winos could not agree. 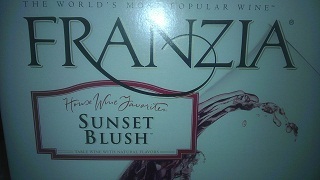 Franzia Sunset Blush makes the grade again.... earning another "Good Rating" from the two Winos. Even better, picked up the 5 liter box for $8.97 at the local grocery store; Cannot beat that! 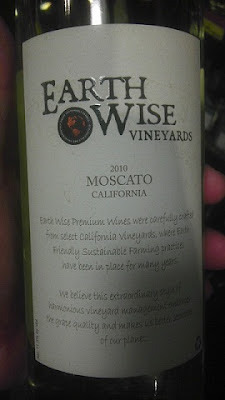 Here is a new one that both Winos liked... a Moscato from Earth Wise Vineyards. Tastes good, alcohol content is high (@11%), and the price is right! This one gets a "Good Rating" from the Winos. Give it a try when you get a chance.